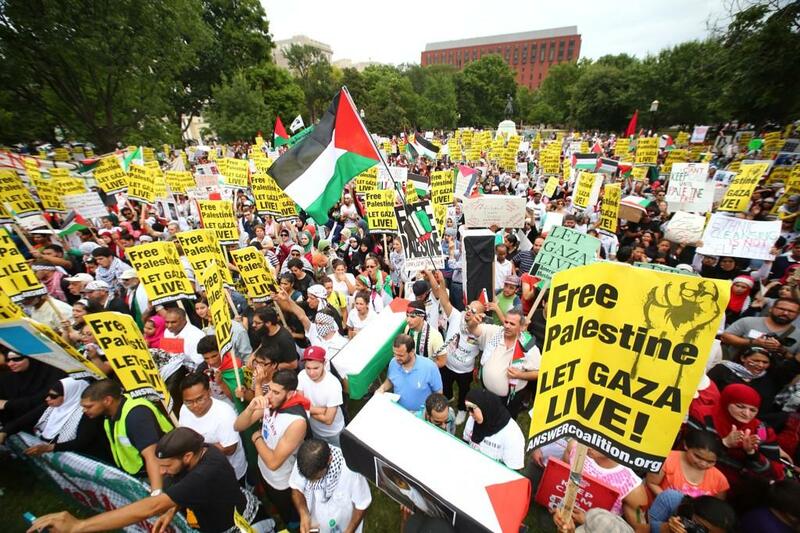 In one of the largest mobilizations in solidarity with Palestine in the United States ever, tens of thousands of people from all across the country converged in Washington, D.C., for a rally and march to protest the ongoing massacre in Gaza and the U.S. government's support for Israeli war crimes. The massive demonstration received wide media coverage, and is further proof that the world is uniting for Palestine. The demonstration received widespread coverage in the media, challenging the dominant pro-Israel narrative. The Washington Post reported that "A demonstration drew thousands to the White House and the streets of downtown Washington on Saturday afternoon." ABC News said the demonstration turned "Pennsylvania Avenue and Lafayette Square, the park opposite the White House, into a sea of demonstrators." The politicians and commentators who claim to speak in the name of the American people when they endorse Israel's crimes are lying. People are pouring onto the streets in the United States and everywhere else in the world to demand: "Free Palestine - let Gaza live!" Below are some photos from the demonstration. If you have images of the demonstration or people traveling to the demonstration, please send them to info@answercoalition.org.